Internet security is no laughing matter. And with recent initiatives to repel data protection laws, security is quickly becoming an even more important aspect for everyone in the United States. The average business owner, though, should have already been security conscious. If you weren’t, then this recent development and loss of privacy protection should be enough to push you over the edge. While the repealed protections had yet to even go into effect (they would have in December of 2017), this move is still very scary. Our current scenario illustrates how we can go from protected to unsecured in a matter of minutes. When it comes to the SMB market, not many may recognize the severity of an unsecured network. Of course, any business owner will tell you their time is valuable and if they don’t have any issues, why would they waste their time searching for a solution? Well, in reality, everyone is at risk on the internet. Your laptop, your tablet, your smartphone, even your smart refrigerator — all of these access points to the internet are also open access points into your network. With new methods of attack appearing almost everyday, its almost no surprise that at this point hackers can even steal your password through VoIP. So, even if your team is just yourself, or you and an in-house developer, your business should be absolutely concerned with security and data protection. With an insecure network, it would be a relatively simple for prying eyes to snoop on your business’ communications. Unauthorized eyes could gain some crucial intel on your business to use against you — whether this be industry espionage, simple ransomware attacks or even the more popular DDoS attacks. An attacker could simply hold your network hostage, demanding large pay-outs. This alone could cost your business crucial time and money. Recap: What Is a VPN? Simply put, a VPN is a powerful, cost-effective solution that any business can afford and absolutely needs to seriously consider. A VPN will establish privatized “tunnels” from the user’s device to your company’s network, but the key factor is that this tunnel is established through open networks. By redirecting your data to transmit through this “private tunnel,” only the users with access and authorization into this tunnel can see the information being transmitted. Every business needs a VPN, simple as that. This need will also only grow if your business decides to leverage a BYoD Policy. Things can start to get tricky when it comes to choosing the right VPN for your business. VPNs have grown in adoption and presence over the past few years, and many providers are simply looking to capitalize off the growing privacy concerns throughout the US. In fact, it’s not uncommon for VPN providers to promise users absolute perfect security, but then collect user data and resell it for their own profit. Where is the VPN Based – Your VPN provider can only work within their local laws. If your VPN provider is in the United States, but you are subscribing to hide your information from the US government or potential sale, then tough luck. All VPN providers in the US must comply with US laws, and can take advantage of the ability to sell your information — even if they promised nicely not to. Number of Supported Connections – Especially for the SMB users, one of the more important factors to consider is simply how many users the provider allows at one time. If this limit is smaller than your number of mobile or remote workers, it might be worth shopping elsewhere for the sake of simplicity and ease. Data and Speed Limits – A bit obvious, but VPN providers will often tier their packages based on data and speed limits, along with user limits. So, if your business needs to share large files or frequently utilize a VPN, it could be annoying to constantly hit your data cap. Country and Server Location Availability – If your workers are mobile and travel often, it would be important to ensure your VPN allows and supports access to or through different regions. This is also important for privacy concerns because, again, routing information through a specific country subjects it to that country’s legislation. Protocols Used – A bit more on the technical side, but for those who are savvy enough, this is an important metric to glance at. 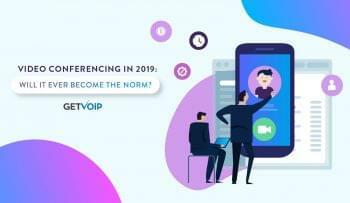 Understanding the protocols used — similar to the popular VoIP protocols — will allow advanced users understand how their data is transmitted, along with other key details of the connection and service. Cost – As with any service, your business wants to ensure the cost is within budget and reasonable. At the end of the day, you get what you pay for, and while free VPN services exist, these should be shied away from unless it’s for a one-time urgent case. Support – Again, support is a crucial aspect of any service, especially Cloud services. If something goes down, or there is a billing error, or your users cannot access your service, solid support is absolutely necessary in the business world. Switzerland-based VyprVPN immediately has an edge for the most security-conscious business. VyprVPN is also the only provider on our list to offer unlimited simultaneous connections for just one account. With roughly 70 servers in 62 countries, their spread is pretty wide, but not the largest service availability network we’ve seen. VyprVPN is also one of the only providers we have seen that supports their unique Chameleon protocol. Their promises of not logging user activity and an included NAT firewall help provide a lot of peace of mind. At $299 a year, VyprVPN isn’t the most economical solution, but by no means the most expensive either. The price can be justified when you take into account the freedom of unlimited simultaneous connections. A popular choice, HideMyAss has a funny name and also competitive pricing. With plans starting at just $210 a year for 5 years, it’s easy to upgrade based on how many users your team requires (with up to 20 at once). With 860 servers in 190 countries, HideMyAss also has one of the largest networks around the globe. Supporting only PPTP and L2TP makes it slightly more limited than competitors, but most businesses won’t even recognize the difference. Coming in as one, if not the, most economical solutions on our list, PureVPN might be the best choice for the budget-conscious SMB. For only $2.95 a month, users can access up to 5 simultaneous connections per account, which is perfect for small teams. Since it’s based in Hong Kong, your privacy should be kept intact. Further, PureVPN promises to not log any user data. With 583 servers spread around the world, their network reach is expansive. However, PureVPN does not list the countries they have servers in, only the regions. PureVPN also includes what they call the “revolutionary Stealth Protocol.” For such a low price point, PureVPN seems to include all the bells and whistles you would need, including an internet kill switch and NAT firewall. NordVPN is one of the most recognized names on our list and comes in at a budget-conscious price point. For only $4.50 a month (billed annually), users are looking at only $54 a year, with access on up to 6 devices per account. NordVPN’s 709 servers support connections in 57 different countries; this is a large number of severs and a middle-of-the-pack geographical spread. 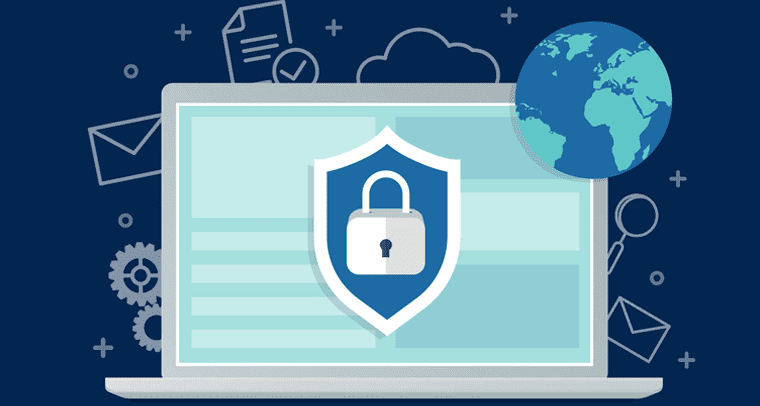 NordVPN’s 30-day money back guarantee is one of the longer trial periods, and NordVPN will even provide business users with a dedicated account manger for any support requests. NordVPN does not seem to include or support a NAT Firewall, but does promise not to log any user data. With their company based in Panama, users privacy should be respected. With almost any solution, you get what you pay for. The same holds true for VPN services as well. TorGuard comes in as one of the pricier options at around $100 a month. However, for that price your business can utilize 15 simultaneous connections on just one account, and access a massive 1600 server database. Granted, these severs are only spread amongst 50 countries — which is no small number — but TorGuard easily sports the largest server network. TorGuard provides its business clients with a dedicated support representative and 24/7 service, supports a large list of protocols, and promises to never log user data. TorGuard does not seem to include a NAT Firewall with their service, but the most security-conscious users will employ their own software or hardware firewalls. It is also worth noting that TorGuard is based in the US, which could be either a blessing or a curse. Another US-based provider on our list is IPVanish. Again, this could prove to be either a blessing or a curse, but IPVanish is at least an affordable option. For $77.99 a year, users can get the standard 5 device access per account, along with an internet kill switch and even a NAT Firewall. But IPVanish also boasts one of the larger server networks diversified around the globe, with 145 servers spread out in 94 countries. While based in the US, IPVanish does promise to not log any user data. However, if your business is hoping to get around the recent US developments and keep data safe from third parties, you might want to search for a provider based in another region. However, if your business is looking for a VPN strictly for, well, business, then IPVanish offers a solid solution. While ExpressVPN is slightly limited in their device access with only 3 simultaneous connections, it is still a popular choice for small teams that need a powerful VPN. At around $99.95 a year, ExpressVPN isn’t the most expensive we’ve seen, but also not the cheapest; however, it’s much more cost effective than bigger names. With 145 servers spread out into 94 different countries, your business is at least paying for access to an expansive global network. ExpressVPN does not include a NAT Firewall, but they also specifically state that users will not need one. ExpressVPN also provides one of the longest trial periods with a 45-day money back guarantee. It is also worth noting that ExpressVPN seems to be based out of the British Virgin Islands, and would therefore follow UK law. BufferedVPN comes in at a similar price point to ExpressVPN, sitting at just $99 a year. Where BufferedVPN seems to lack in server infrastructure and features, they more than make up for it in transparency and privacy protection. Hosted in Budapest, Hungary, BufferedVPN is well out of reach of certain markets, and the provider paints themselves as secure, private, and respectful of privacy concerns. BufferedVPN also only supports the OpenVPN protocol, but claims this is all users will need to obtain the best protection and security. With 5 devices per account, BufferedVPN seems to offer what we have seen as standard access, but includes a 30-day money back guarantee as well as 24/7 online support. Astrill has a bit of a rocky history. Previously ranking high on many lists, the provider has seen some growing criticism around the web. However, for a business that simply needs to work with a reliable provider and gain basic VPN services, Astrill’s business offerings might make the most sense. Easily the most expensive provider on our list, Astrill is also the most geared towards large businesses. Pricing plans are broken down by user limits, starting at 10-20 and growing to 21-50, with the largest plan allowing for 101 or more users. Astrill also supports a large server base with 325 severs spread over 53 countries. Astrill’s support is top notch as well, and is one of only two providers we have seen that offers phone support — let alone 24/7 phone support. They host a massive online database and also provide Skype support, online ticket submission, and email. Just note that Astrill VPN does not seem to make any promises when it comes to logging user data. If your business is looking for the most cost-effective solution possible, then Private Internet Access might be the right choice. For only $39.95 a year, your business can gain VPN access on 5 simultaneous device connections. Unfortunately, Private Internet Access is not the most transparent when it comes to server locations or count, but they do at least state servers are located in 25 countries. As far as we could see, Private Internet Access is also the only provider that offers North American based 24/7 customer service. So, yes: Private Internet Access is also based out of the US. With support for multiple protocols, US-based support, a low entry cost, and even more high-end features like an internet kill switch, Private Internet Access is a good choice for small teams looking to spend as little as possible. Even a tiny startup business that hasn’t had the chance to make enemies yet should be concerned. All it takes is one malicious user — who gains access to your network and holds your website, information or network hostage — demanding a payout, or else. This is especially important in this day and age, when mobility and UC can make our networks more vulnerable. It’s more common than ever to have entire teams or individual workers on the move and remotely connecting back to the home base. Without a secure connection from that user’s machine to the home network, every time your worker wants to do their job or send an email, your network is opening a massive floodgate to all potential attacks. The company I’m working for uses @ibVPN and I must say that it works like a charm. Great list. Even though ExpressVPN offers fewer connections it’s still my VPN of choice simply because it works so well with Netflix.